I finally got a chance to finish up my Ampmaker SE5A recently. 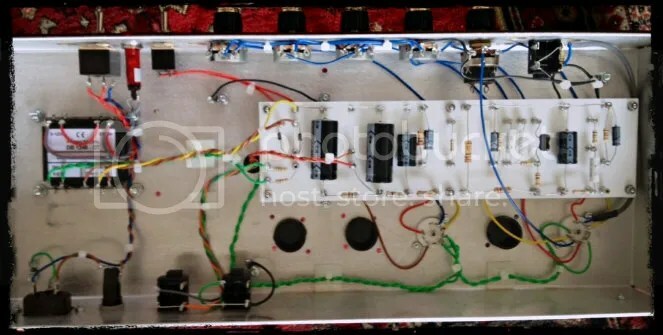 I had been looking to build another amp for a while (I already built a Fender Champ Clone+ Mods), and being in the UK, the options available for ‘kits’ is not as exhaustive as it is in the US. However, us Brits do have one advantage over our US chums; we have Ampmaker.com! Barry sells good quality kits at a good price, so I had no hesitation ordering an Se-5a from him. Actually building the thing up took longer than expeceted (an hour here and there over a 6 month period). The build was really straightforward, and Barry’s build guides are top notch. Building pedals is one thing, but with amps, there is the potential to cause serious harm (or even death) by not being carefull; so I took my time and checked everything twice before soldering. 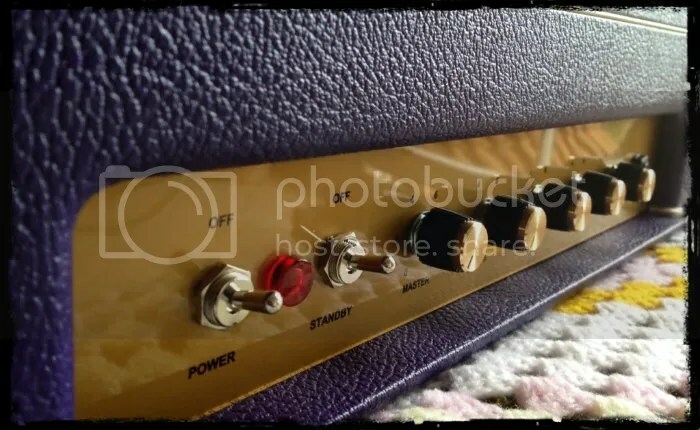 First impressions is that is is a cool amp; totally different in character to the Ampmaker WF55 (a Fender champ clone) that I have built previously (which totally figures). It totally sings with my Les Paul, where as the WF55 prefers my Tele/Strats. Its also quieter than my WF55; I’m think this may be a combination of me doing neater wiring this time around, and also due to the TMB tonestack cutting a lot some dB’s out of the signal (both amps have 1 power valve). With ‘everything on 11’ the amp totally sings, and has a real nice Marshally crunch to the tone. Its not overpowering at full whack either; my ears weren’t bleeding! I’m already planning mods. First one is to add a ‘gain boost’ cathode bypass cap (prob 10uF) to the first preamp valve. I installed a push/pull pot so that should be really easy. I may also mod the tonestack at some point. I’ts trebly enough for my taste so I definitely won’t be adding any treble bypass caps. The head cab was made by ‘Cabs by Chris’ his work can be seen on the Ampmaker website. Its really cool. I may have to get myself a matching cab. I cannot recommend Ampmaker.co.uk highly enough. I didn’t have to ask Barry (the owner) a single question about the build, which I thinks speaks volumes about how good his instructions are. The build info is really straightforward. I have been building this thing on/off for about 6 months though (half an hour here and there) so I definitely took my time with it. Hope you like the pics, I’m pretty happy with the neatness of my wiring on this! 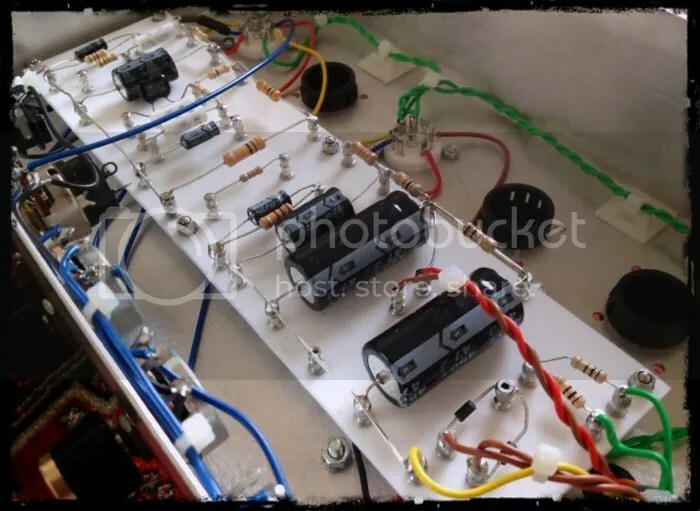 This entry was posted in Uncategorized and tagged ampmaker, se5a, se5a build, se5a build report by sjeffects. Bookmark the permalink. Great job! Just did a similar for my first build (have bitmo-modded an Epi valve before). I also want to do the bypass cap mod, but I am thinking of a rotary or mini-toggle switch. Where do You put the 1Mohm resistors? Have You done anything else to it? Any details on Your mod would be grat, as I have not got a clue electronics-wise. Thanks. I haven’t actually got around to doing any mods on the amp yet; it kind of sounds perfect as it is at the moment so I may just leave it! I did the 22 uf bypass on V1a with a mini-switch in one of the redundant holes by the jack. After trying all possible caps from 2,2uf-22, i ended up with the last one, as that gives a slight increase to fatness for single-coils. I tried a 22uf on V1b too, and that also gave a little boost, but took it away again, as the sound became a little muddy. The best mod so far, was changing my speaker to a Vintage30 and closing up the cab`s back. 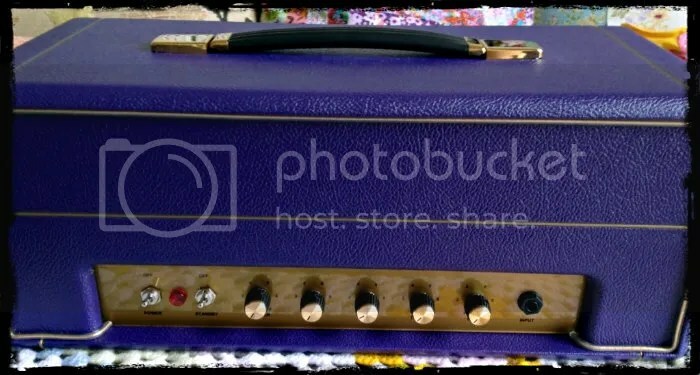 Great amp, and I recently got a whole page of information from Barry on how to mod it for more gain; -Exellent, will do. Yep that is a good point about speakers and cab’s; either can make a drastic difference to tone!